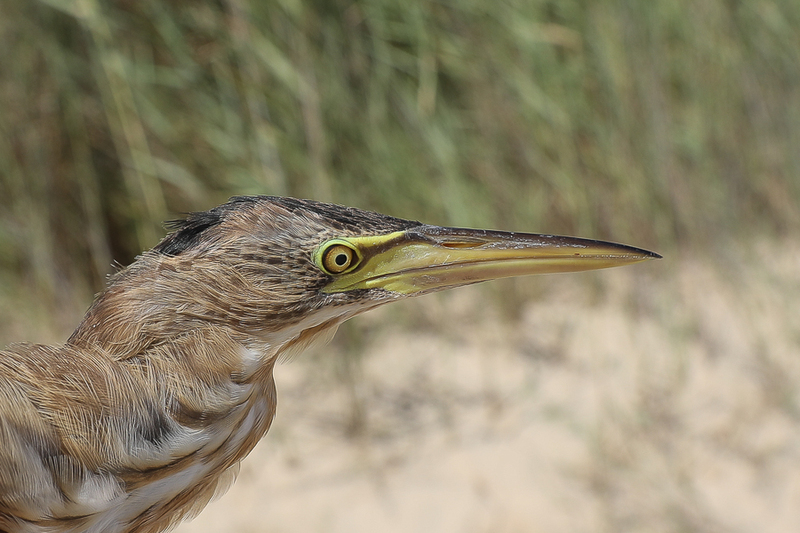 Whilst ringing in September at Jubail, we trapped and ringed 34 birds of thirteen species which was a good return as we could only ring for the first few hours of daylight as the wind soon got up and made ringing impossible. 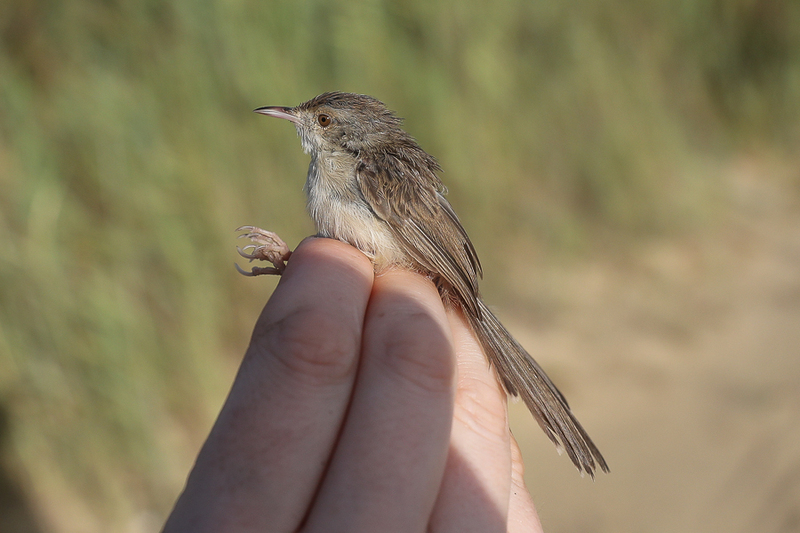 Luckily we arrived well before first light and had most nets up by daybreak, where we set eight 18 metre nets and a single 15 metre net in various areas including between reed beds and over water. 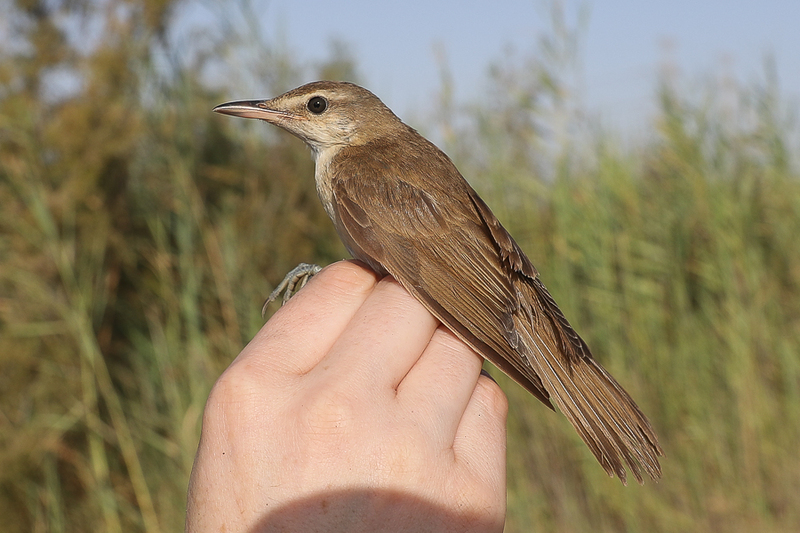 The largest number of birds caught were Great Reed Warblers with ten birds trapped and ringed followed by Indian (Clamorous) Reed Warbler with five birds caught. 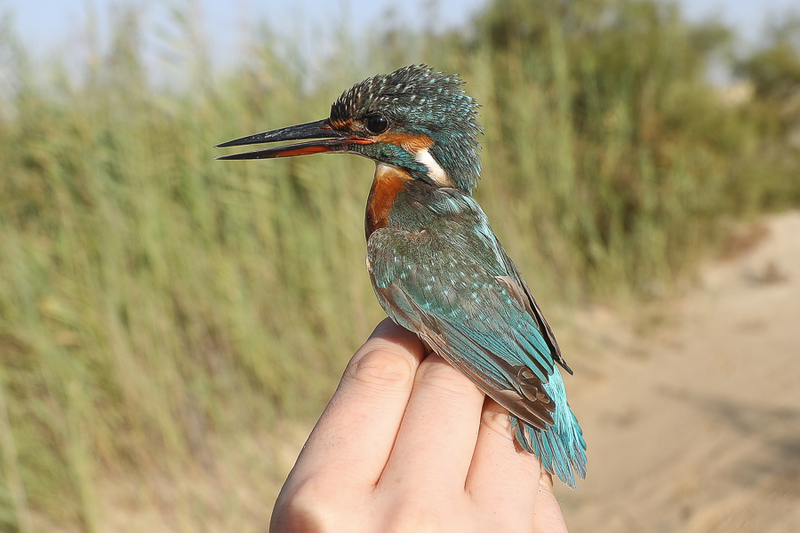 Most birds were either resident or passage migrants although a couple of winter visitors in Daurian Shrike and Common Kingfisher were caught. 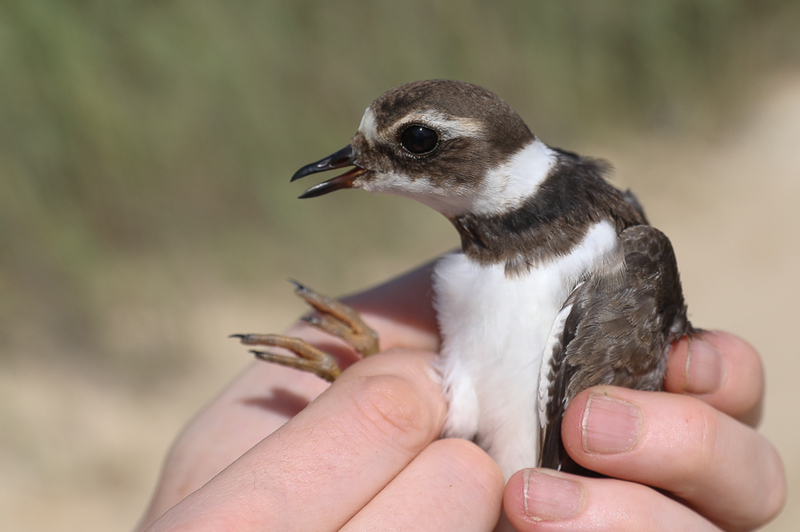 We also caught a Common Ringed Plover, a species we had not caught in Saudi Arabia before making the trip well worth while.